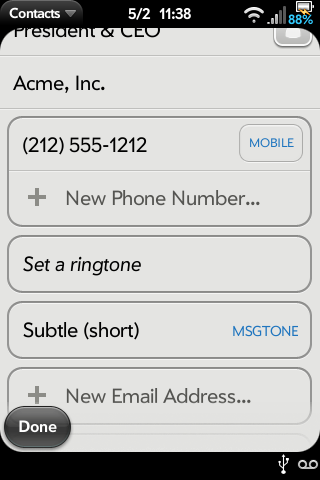 This is a reworked version of the original SMS Tone Per Contact patch. 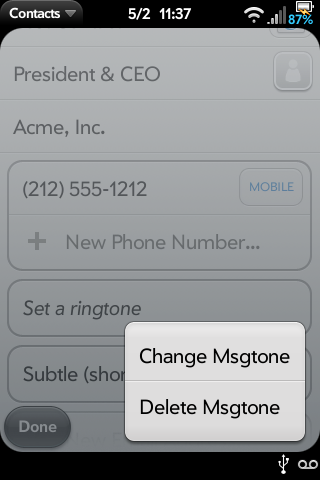 - Since the unpatched messaging application now allows for selecting a global message tone, removed the redundant code that added this functionality. 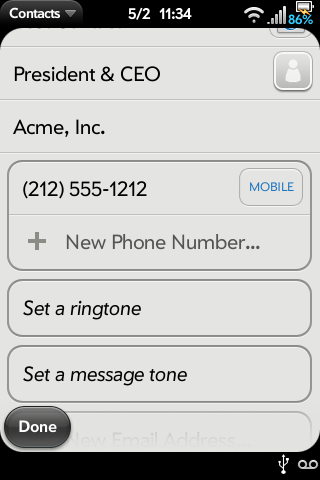 - Contacts are now looked up by phone number and then email address, rather than just phone number, in case the sms was sent via email. - Removed selection of default notification and alert sounds. Following the Unix law, this patch does one thing well.